L'Oreal Professional has launched a few exciting haircare products recently, spanning a huge range - everything from shampoo to hair masks, oils, and wax is covered. There's truly something for everyone here. Since I'm not that much of a haircare person, suffice it to say I was slightly overwhelemed at the sheer number of things you can do to make your hair better (so all that time I've been walking around with disgusting hair...Sigh). Let's start with perhaps some of the more mundane products, shampoo and hair masks. 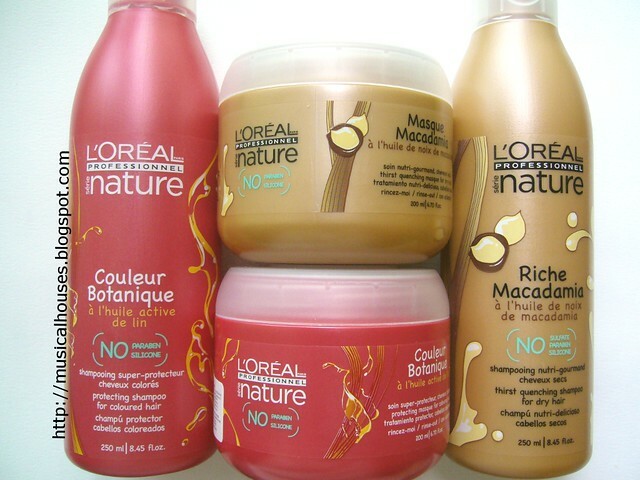 L'Oreal Professionel has a range of haircare products, Serie Nature, which cater to users who want more natural haircare. Serie Nature boasts that 100% of its ingredients are of natural origin, with 95% being organic. Pretty cool, huh? There are two ranges within the Serie Nature brand - Riche Macadamia, and Couleur Botanique. Both Riche Macadamia and Couleur Botanique have a shampoo and hair mask each. Riche Macadamia, as the name suggests, contains macadamia nut oil, and is meant to give an intense hydration to hair. The Couleur Botanique, meanwhile, is meant to hydrate coloured hair. The hair masks are really cool. 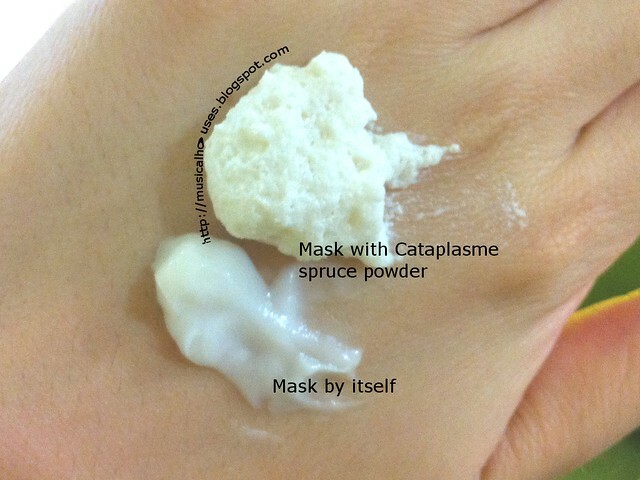 They appear as normal ol' hair masks with a cream texture, but when you add the cataplasme spruce powder to the mask and whip, you get a foam-like texture that you then apply to your hair and leave on for 5 minutes. That was really cool. Another range of products we were introduced to was the superhero-themed Techniart line of products. The hair styling wax is named Bad Mud, and the volumizing powder is named Super Dust - now, how cute is that? 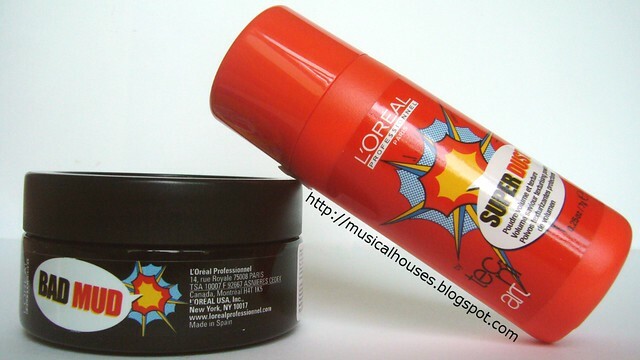 Bad Mud, dubbed by L'Oreal the "shape hero" is a styling product midway between a wax and a clay. We were also treated to a very convincing product demonstration for Bad Mud - the hairstyler present styled the hair below using Bad Mud, and everyone present was ooh-ing and aah-ing over the transformation. Super Dust, the "volume hero", is probably going to be a lifesaver for people like me, who have fine, limp hair that has no body. This is a white powder that reminds me of a dry shampoo, but it's meant for volumizing the hair. Like Bad Mud, Super Dust got to display its prowess with a demonstration, that was also quite convincing. Lookit all the volume! I got to try out the Super Dust later, and it did make my hair look more full. I really liked it. Last, but certainly not least, we move on to my favourite product of the entire launch - L'Oreal's Mythic Oil. I've always stayed far away from hair oils, as I've always been worried that they would weigh down my hair. However, I got to try out Mythic Oil at the event, and I have to say, I was very impressed. The hairstylist first applied a small amount (about the size of a 10-cent coin) to my ends, and then used a hairdryer to blow dry my hair. It wasn't a terribly complex process or anything, but after he was done, I was pleasantly surprised to find that it really did help make my hair more smooth and shiny-looking. It even helped with those pesky flyaway strands I had. It also It felt very lightweight on, and didn't weigh down my hair. The Mythic Oil can be used in a number of ways too (pre-shampoo, blow-drying, for frizz protection and so on), so I'm quite excited to see what else it can do. And of course, photo time! That's me, on the left (with eyes closed and no makeup - yes, no makeup! 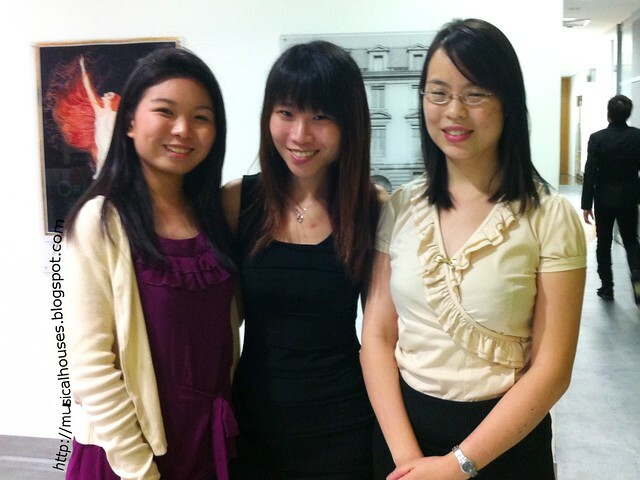 It was just one of those come-from-work, no-makeup days), and Lynn on the right, together with a gorgeous L'Oreal intern in the middle. Anyway, I'll be using these products, and I'll report back with my thoughts on them after I've tried them out! 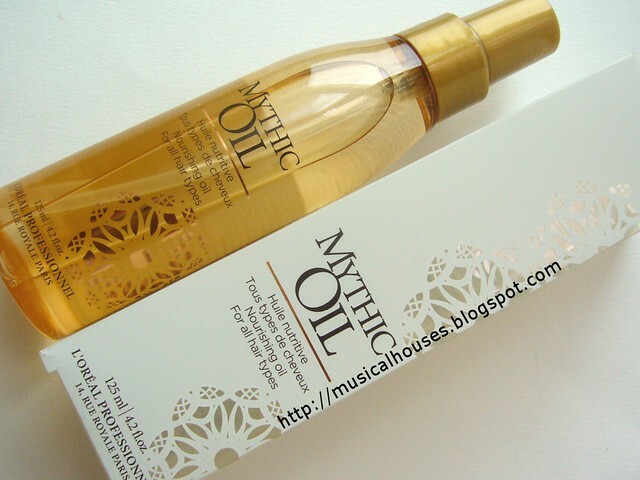 I wonder if the Mythic Oil is anything like the Kerastase Elixir Ultime, which I love! Great event! @Jamilla Camille: Both Kerastase and L'Oreal Professionel are owned By the same parent company (L'Oreal), so I wouldn't be at all surprised if there was similarity between the two. I couldn't find the Elixir Ultime ingredients list online, but looks like both have a combination of oils and silicones.